I'm ditching the razor and growing a beard to raise funds to help Animals Asia #EndBearBileFarming. 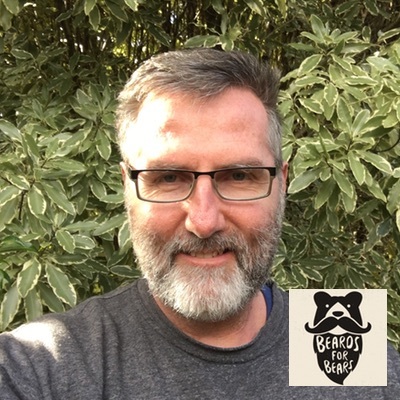 If you love bears (or beards) and hate bear bile farming as much as I do, please consider supporting me by making a donation. No amount is too small and all donations over $2 are tax deductible. What's more, I'll be matching the first $200 in individual donations dollar for dollar! Thank you. Well done on all your efforts to support these wonderful animals. Combined REDI DVCRI donations. Thank you everyone! I wish you a happy Beardday Craig! Hope this donation get s you across the line. Keep powering on Craig. Great cause. Matching donation that makes 200 . Thank you Sue M.
Matching donations. Thank you Georgia and Vicky! The beard suits you! The bears will be very impressed. Matching donation. Thank you Sue! Waiting to see you with a beard! Matching donation. Thanks so much Kristen! Matching donation. Thank you, A Everaardt! Time to get hairy! A little donation for your beard for the bears efforts.